Providing a good start in the education system to over 800 children. Feeding these children each day. Over 800 children attend our pre-schools each day. Run and maintain eight pre-schools. Our Pre-school Coordinator manages all pre-schools and teachers, and monitors them regularly. We also arrange regular training sessions for the teachers. Children are encouraged to come to school with the supply of a sweet potato breakfast provided by the teachers. We make the children’s education fun and effective. Continue to support our eight pre-schools. By donating to this project, you will provide support to help the pre-schools flourish. A donation of £60 ($80) sends a child to pre-school for one year and includes a meal of sweet potato every day. Other projects are one-off capital costs, such as building and maintaining facilities. Paying the salaries of pre-school teachers. 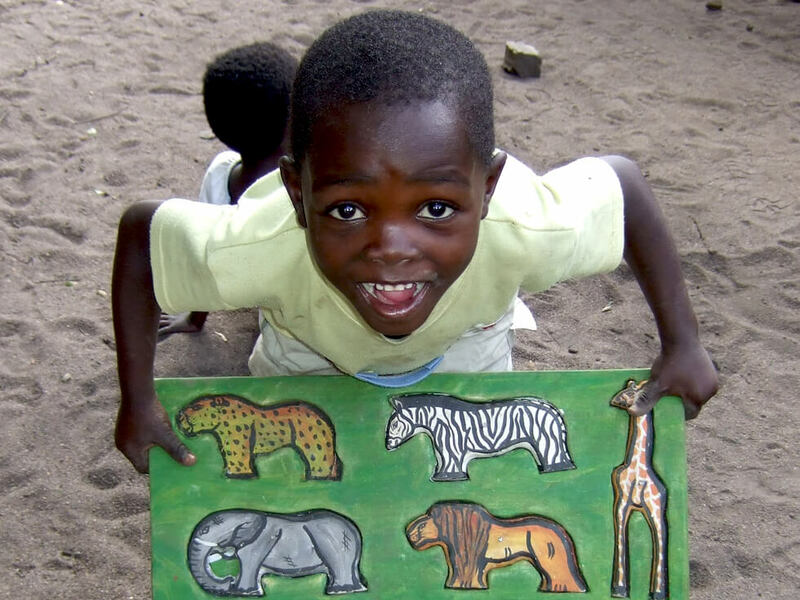 Providing resources such as toys, blackboards and chalk, pens, books and supplies and more. Running a sweet potato project for the pre-schools, where pre-school teachers grow sweet potatoes which they prepare and feed to the children every day. The children also enjoy a cup of tea too. RIPPLE Africa’s pre-schools are managed by a local Pre-school Coordinator and the teachers often attend training courses. Most people recognise the critical link between the important foundation which pre-school education provides, and the level of success in education students will experience later on. Those first formative years are essential to a child’s education and development as a whole. 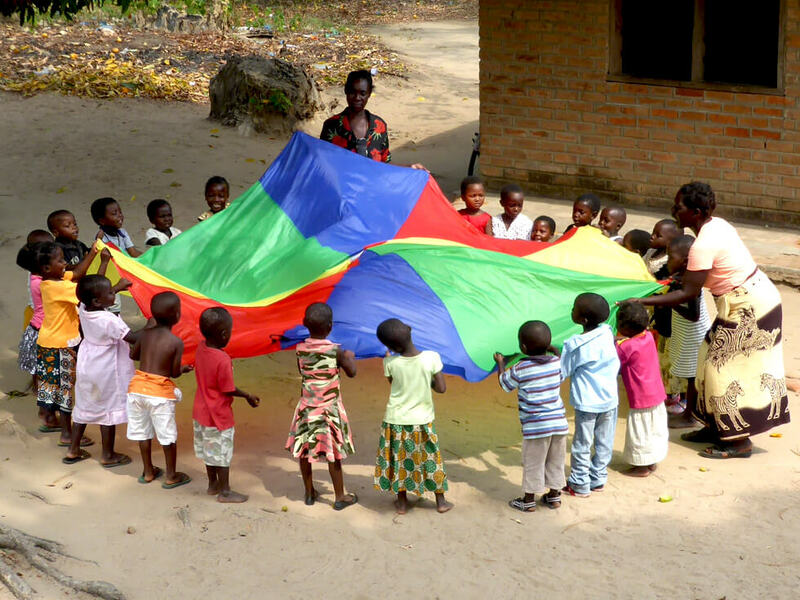 The Malawian government recognises this link and encourages communities to set up local pre-schools. However, with no financial support, the reality is that pre-schools are almost always run on a voluntary basis without any resources, and most teachers work for free, often in buildings which are unsuitable and even unsafe for children. A fun place to learn. Co-ordinated support from RIPPLE Africa at a senior level. 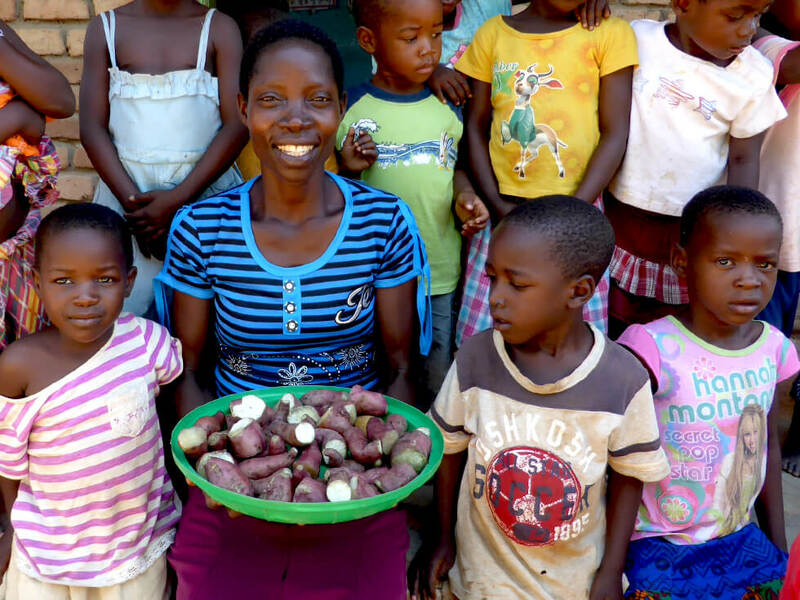 RIPPLE Africa is providing a benefit to hundreds of young children, providing local employment to pre-school teachers, and, through the sweet potato project, helping communities to look after their most vulnerable youngsters. One in eight children in Malawi are orphans and often struggle to find enough food to eat, let alone find the time to focus on their education. 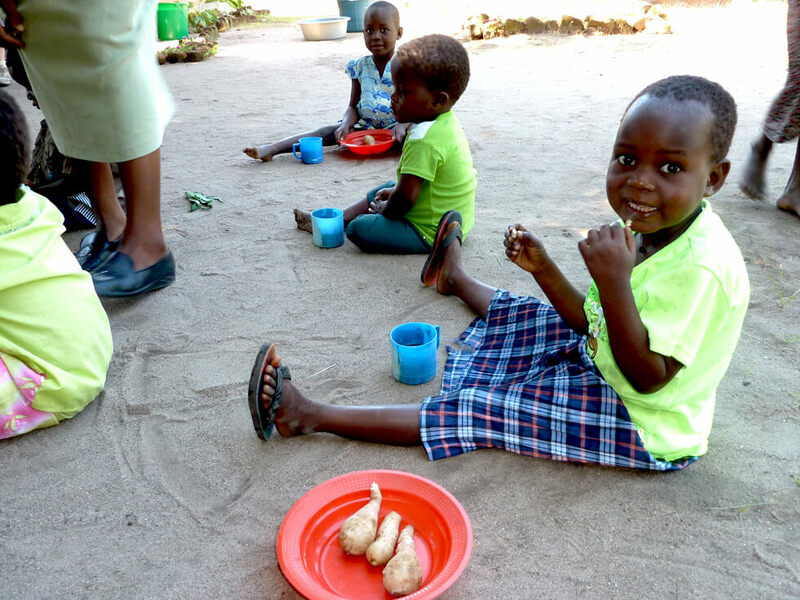 Our sweet potato project means that they get a hot meal whenever they attend pre-school. This helps improve concentration, creates an incentive to attend pre-school, and reaches out to the most vulnerable children in the community by providing a benefit not only to their educational needs but also to their health. 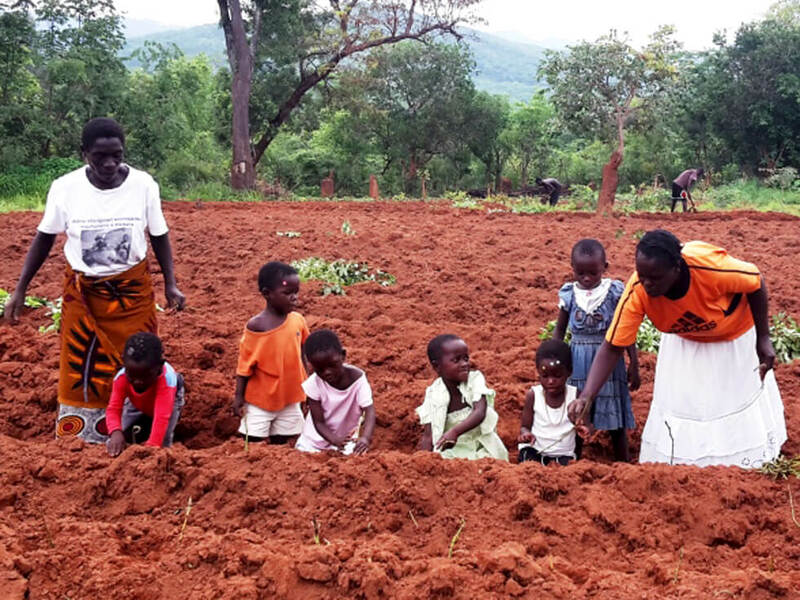 Each teacher is paid a small bonus for growing the sweet potatoes, which also helps to improve their own income. Read more about our sweet potato project here. 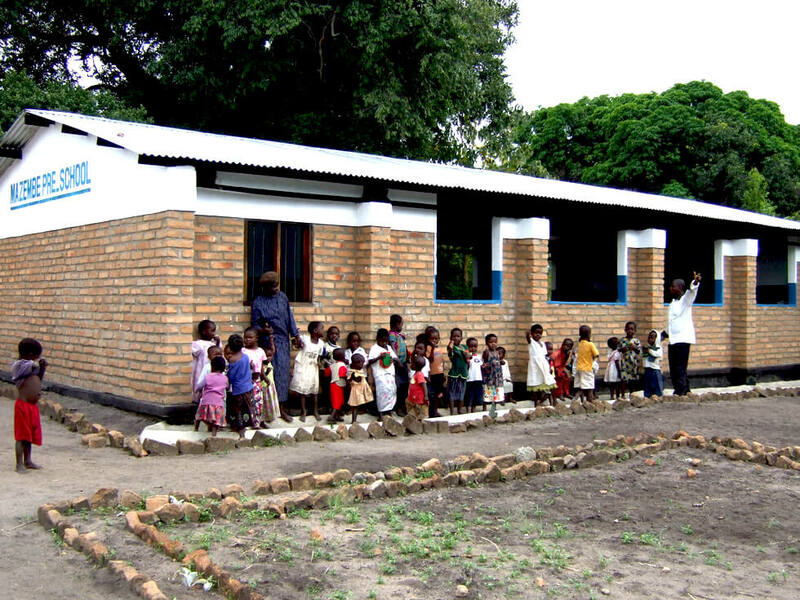 RIPPLE Africa supports pre-school education in Malawi by running eight pre-schools locally in the villages of Chiomba, Chitungulu, Kachere, Katenthere, Matete 1, Matete 2, Mazembe, and Mwaya. Our Pre-school Coordinator manages all of our pre-schools and teachers, and he monitors them regularly. We make the children’s education fun and effective, and they are also encouraged to come to school with the supply of sweet potatoes which are grown and provided by the teachers. We will continue to support our eight pre-schools by paying the salaries of teachers and providing resources to ensure that the youngest members of our community have access to early years education and that they are ready for the transition to primary school.